It’s coming to the end of the hot season in Bangkok, which is lovely – we are looking forward to the rain! The hot season is a time when the demand for electricity sky rockets – many people wanting to escape the heat with a little air-conditioning relief. April is when it is the hottest and with the notification from Myanmar (where Thailand gets some of its power from) that they would be reducing output for annual maintenance – this ignited fear of rolling black outs. On the theme of saving power many offices and apartment buildings put in measures to limit excessive power usage, shutting down lifts, lights and increasing the temperature of air-conditioning units. The government announced measures the general public could take to help as well including having your air conditioning on a 26 degrees instead of 25degrees (That would have been a bit cold for us, we generally stick to 29 at the lowest). 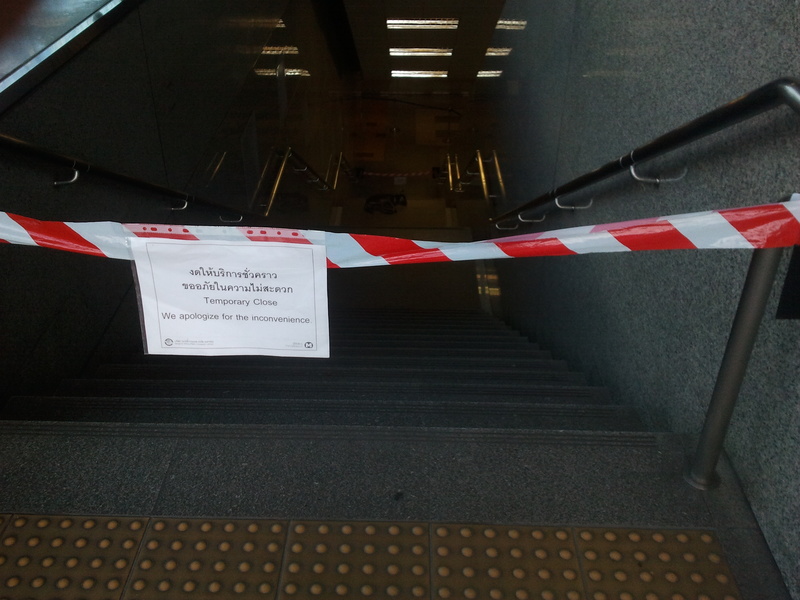 In an attempt to save power Bangkok’s underground train systems (MRT) announced it would turn off some escalators during non peak hours from 1st April to 30 June. 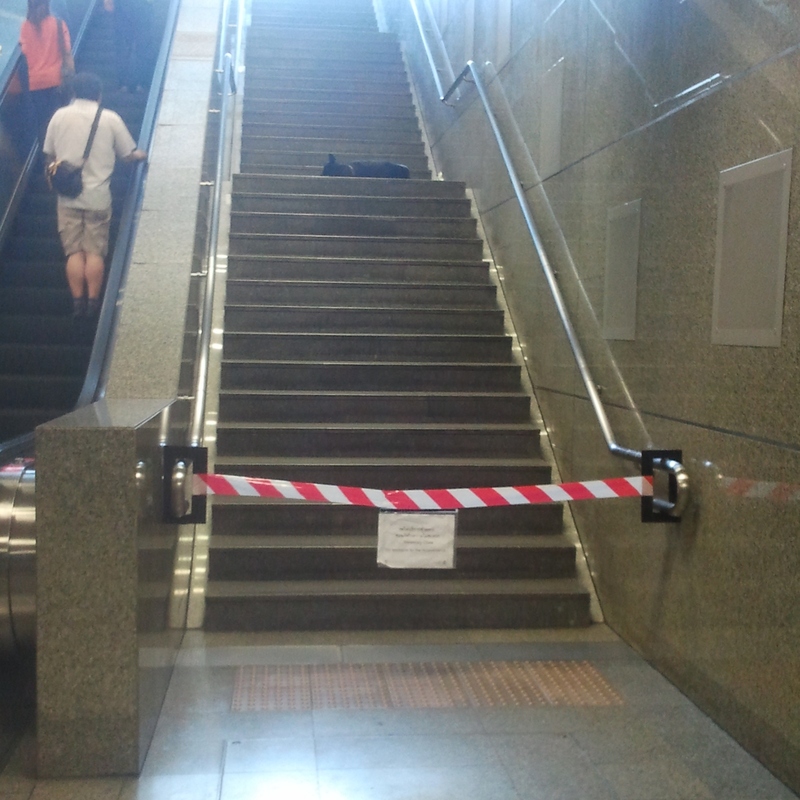 So when I was catching the MRT the other day I was surprised to discover the stairs at one MRT station were roped off instead of an escalator. Maybe it’s saving people from bad knees! I could see no explanation for it either, they looked in perfectly fine condition – but maybe they were just reserving space for this dog to have a sleep. He looks like he is having a good sleep. From what I’m aware the strategies must have worked because I don’t think I’ve experienced a single power cut in the past couple of months.